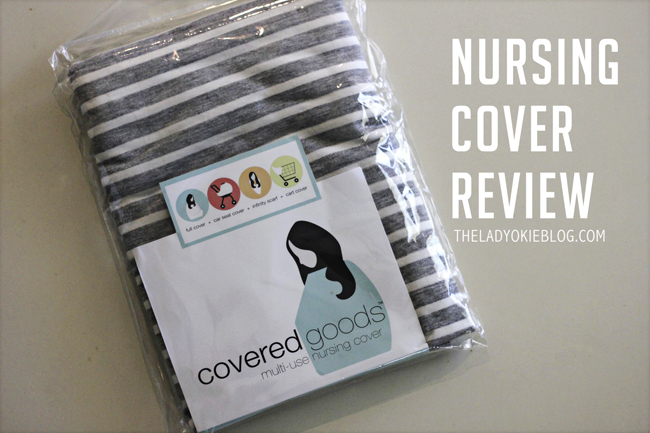 I'm really excited to collaborate with Covered Goods to share with you about their awesome nursing covers. They offered me a nursing cover at a discounted rate for me to try and review. 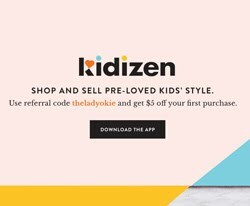 There are no affiliate links in this post. I had previously heard of Covered Goods but never really investigated their covers until a friend of mine showed me hers and told me how much she loved it. I was excited to get mine in the mail and try it out. 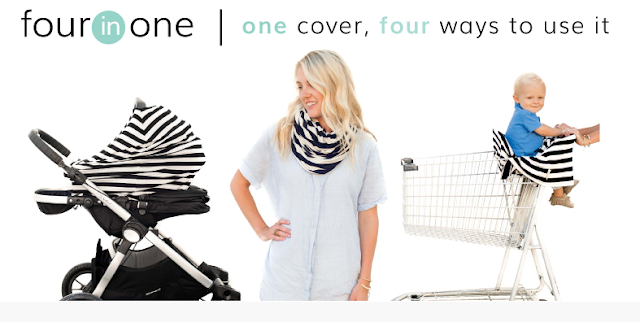 Here is what I love about this nursing cover: it's four products in one! 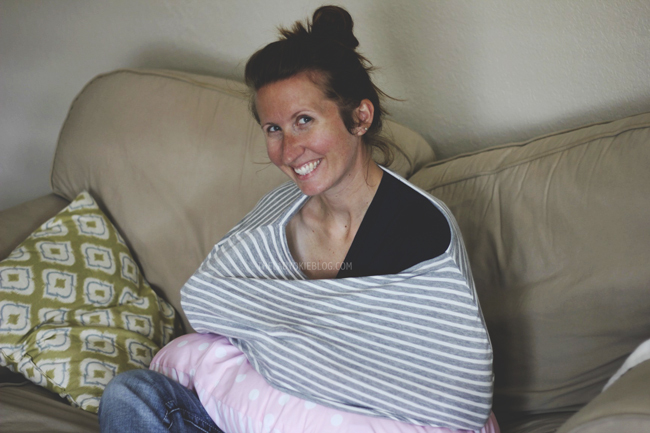 The fabric is soft and stretchy, and you can use this as a nursing cover, infinity scarf, car seat cover, or shopping car cover. I have also used this as a light blanket over R's legs while in the car seat. The genius is that you can wear it as a scarf, and then boom! 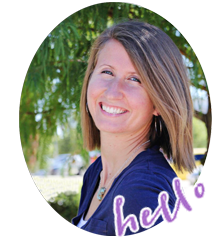 You're ready for nursing almost instantly. Plus you should already know how much I love scarves. 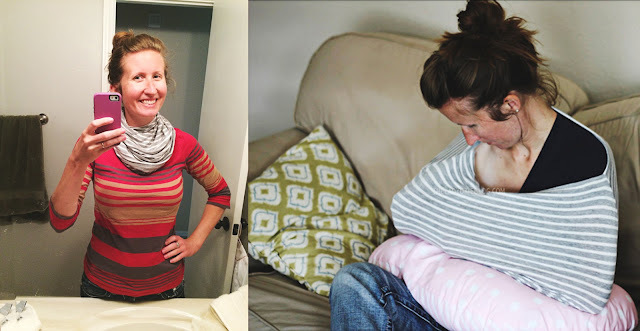 The top opening around your neck is smaller than the bottom opening, which stretches to go around the baby. I love that it covers all the way around my body so I don't have to worry about my stomach or sides showing if I'm out in public (not that I nurse in public if I don't have to, because I'm still super awkward about it). I feel like it's full coverage, but I can easily peek in and see R if I need to, which is really important to me. 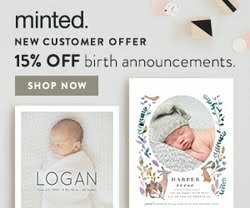 I would absolutely recommend the Covered Goods nursing cover to anyone and think it would make a great gift for a baby shower or for Christmas coming up! I need one of these for this baby! That's awesome! I've seen a lot of nursing covers, but one that doubles as a scarf is brilliant! I don't need one of these any time soon, but you look adorable in these photos! I also really love that it can double as a scarf. Genius!!! Okay, I have to be honest. I love the idea of this nursing cover (and the design on it), but I own one and have found it clunky to use. I had a hard time getting myself and the baby properly situated under it--mostly because it's so clingy and I couldn't see what I was doing. My husband had to laugh at me when I finally just put my own head under it in addition to the baby's. I so badly wanted to love it! I'm glad it's working for you . . .
Ha, yes, it's mostly nursing itself that's awkward. Maybe I'll revisit this cover once I've grown more accustomed to feeding in general. Haha! Well, I'm super awkward with it too, but it's the best of all the nursing covers I've tried as far as making me feel not uncomfortable nursing around people. It's been really handy to wear as a scarf and then use it as a cover when I'm out, especially now that it's scarf weather! But I know what you mean... a few times R has been super wiggly, and it's just been a fail, and I've had to put my own head inside it too. You aren't alone :) But I also think maybe nursing in general gets less awkward the more you do it? I mean let's be honest: I still prefer being in my recliner with the boppy. But I've HAD to nurse her in the parking lot of my office on occasion when I bring her to work, and so this has been nice to have.